Changing what foods you eat can lower your cholesterol and improve the armada of fats floating through your bloodstream. 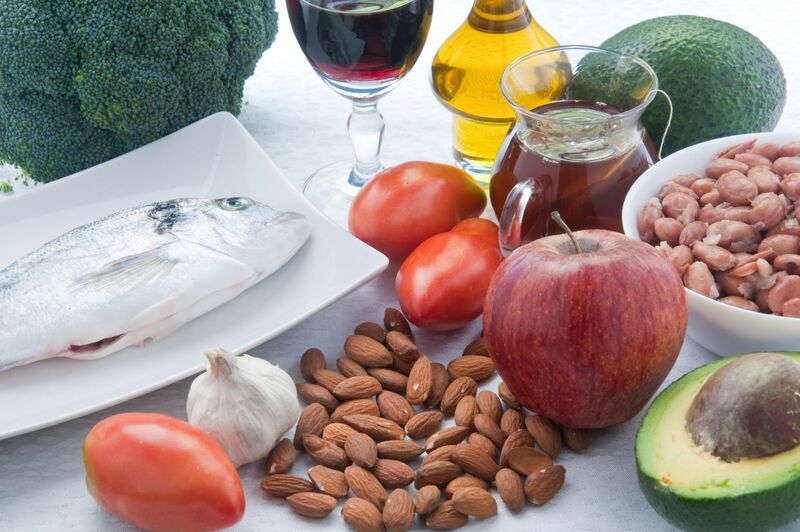 Adding foods that lower LDL, the harmful cholesterol-carrying particle that contributes to artery-clogging atherosclerosis, is the best way to achieve a low cholesterol diet. 2. Barley and other whole grains. Like oats and oat bran, barley and other whole grains can help lower the risk of heart disease, mainly via the soluble fiber they deliver. 3. Beans. Beans are especially rich in soluble fiber. They also take a while for the body to digest, meaning you feel full for longer after a meal. That's one reason beans are a useful food for folks trying to lose weight. With so many choices — from navy and kidney beans to lentils, garbanzos, black-eyed peas, and beyond — and so many ways to prepare them, beans are a very versatile food. 4. Eggplant and okra. These two low-calorie vegetables are good sources of soluble fiber. 5. Nuts. A bushel of studies shows that eating almonds, walnuts, peanuts, and other nuts is good for the heart. Eating 2 ounces of nuts a day can slightly lower LDL, on the order of 5%. Nuts have additional nutrients that protect the heart in other ways. 6. Vegetable oils. Using liquid vegetable oils such as canola, sunflower, safflower, and others in place of butter, lard, or shortening when cooking or at the table helps lower LDL. 7. Apples, grapes, strawberries, citrus fruits. These fruits are rich in pectin, a type of soluble fiber that lowers LDL. 9. Soy. Eating soybeans and foods made from them, like tofu and soy milk, was once touted as a powerful way to lower cholesterol. Analyses show that the effect is more modest — consuming 25 grams of soy protein a day (10 ounces of tofu or 2 1/2 cups of soy milk) can lower LDL by 5% to 6%. 10. Fatty fish. Eating fish two or three times a week can lower LDL in two ways: by replacing meat, which has LDL-boosting saturated fats, and by delivering LDL-lowering omega-3 fats. Omega-3s reduce triglycerides in the bloodstream and also protect the heart by helping prevent the onset of abnormal heart rhythms. 11. Fiber supplements. Supplements offer the least appealing way to get soluble fiber. Two teaspoons a day of psyllium, which is found in Metamucil and other bulk-forming laxatives, provide about 4 grams of soluble fiber. When it comes to investing money, experts recommend creating a portfolio of diverse investments instead of putting all your eggs in one basket. The same holds true for eating your way to lower cholesterol. Adding several foods to lower cholesterol in different ways should work better than focusing on one or two. Just as important, a diet that is heavy on fruits, vegetables, beans, and nuts is good for the body in ways beyond lowering cholesterol. It keeps blood pressure in check. It helps arteries stay flexible and responsive. It's good for bones and digestive health, for vision and mental health. For more information, read "How to lower your cholesterol without drugs."